Pakistan Railways is working on a new smartphone app for e-ticketing. In addition to enabling passengers to buy tickets online, the app will also inform them about the schedule and location of the train. On Wednesday, information technology expert Syed Mudassar Hussain, who developed the app, said trackers will be installed in all the trains. These trackers will update passengers about each train’s location, upcoming stations and speed. Pakistan Railways has already tested the trackers in a few trains, and the results are claimed to be 100% accurate. The expert added that the new smartphone app for e-ticketing is better and faster than the previous inquiry system, which involves calling 117, and the current app which only facilitates ticket purchases. “I would like to gift this mobile application to Prime Minister Imran Khan and will not charge a single rupee from the government for developing it,” the IT expert said, according to The Express Tribune. Further, Hussain said Pakistan Railways will manage and run the new smartphone app for e-ticketing. The ad money earned through the app will go to the railways. The app will soon be available for download. This new smartphone app for e-ticketing is not Pakistan Railways’ only recent achievement. Thanks to the efforts of management during the first 100 days of the Khan administration, the punctuality ratio of passenger trains improved to 90%. “With the punctuality of trains and concrete measures taken by the government, around 20 million passengers have been added in the system, which is an ample proof of department’s achievement,” a Ministry of Railways official told the media last month. Further, the official noted that the punctuality ratio was 70% last year and about 40% in 2012-13. The official also said the railways’ fuel reserves now stand at more than two weeks, compared to one day on average previously. Further, he said that of the 550 stations in the country, 15 had been modernized, and the quality of the food served on the trains has also improved. In an effort to further develop the nation’s railways, authorities recently invited South Korea to invest and seek business opportunities with Pakistan Railways. The Korea Rail Network Authority (KRNA) delegation, which was led by South Korean Ambassador Kwak Sung-Kyu, visited the country. A few months ago, Railways Minister Sheikh Rasheed also invited the private sector to invest in the railway infrastructure. Rasheed listed the stations which could present good investment options for the private sector. The efforts by Pakistan Railways seem to be inspired by motivation from Prime Minister Imran Khan, who directed the railways minister to make the agency profitable, Express News reported in October. Khan told Rasheed in a meeting that pulling Railways out of its losses could prove a big achievement for his government. Pakistan Railways has achieved the goals set in the 100-day government plan by running new passenger trains, raising the number of freight trains and offering free Wi-Fi facilities on the trains and in the railway stations. The government’s 100-day plan included a promise to run 10 new trains, and Pakistan Railways has fulfilled that promise. 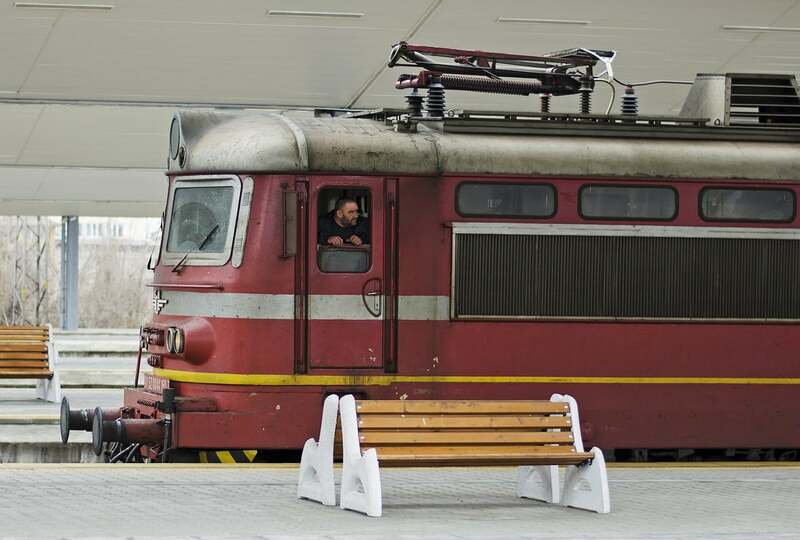 Nine new passenger trains have already been started, and the remaining train will start in the last week of December. Further, the railways plan to add two more freight trains by January to improve revenue generation. By the end of the government’s first year, the number of freight trains in operation is expected to reach 15. The Railways earned Rs1 billion in additional revenue under the new government, an official in the Ministry of Railways told APP last month. While Pakistan Railways is busy restructuring the system, it appears public safety has been neglected. During the first 100 days of the Khan administration, about 16 people lost their lives in train-related accidents, while two trains derailed, says a report from The News. Another thing which requires immediate attention is the unmanned level crossings on the railways’ cross-country route. According to the Pakistan Railways Year Book 2016-17, there were more than 2,000 unmanned crossings in the country. In 2016-2017, only 17 such crossings were converted into a manned-level crossing. In the first 100 days of the current government, no unmanned-level crossings have been upgraded to manned crossings, the report said, citing unnamed sources.